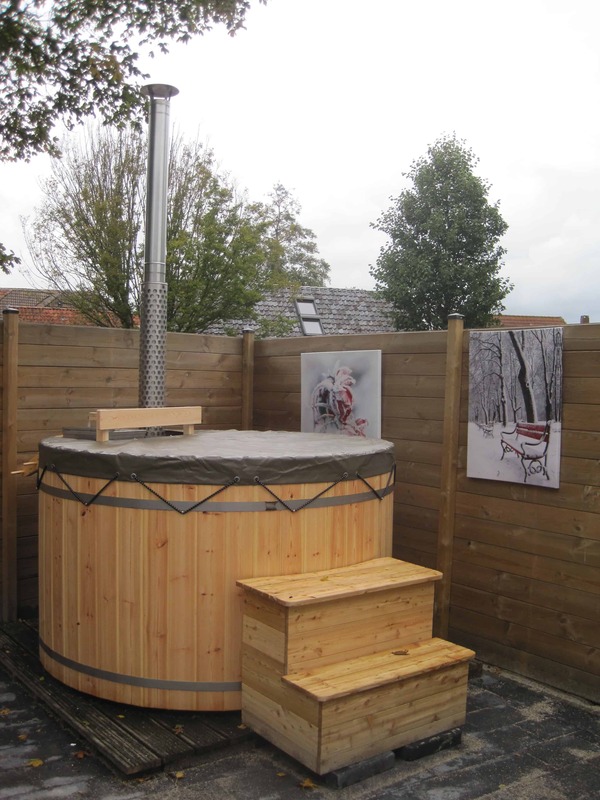 We supply various accessories with the TÜNNI hot tub which can be bought as required. From contact with our customers we evaluate these accessories and regularly bring in updates or additions. 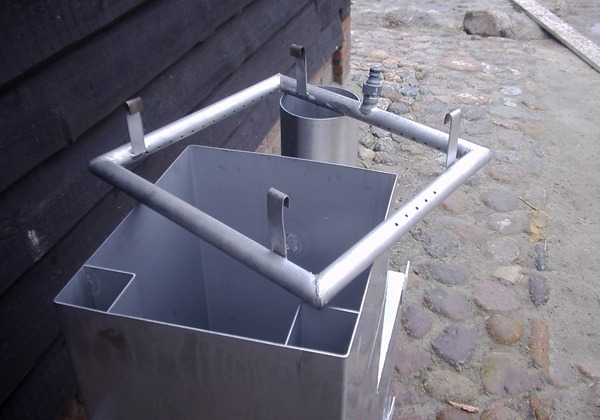 Our latest development, the KVIK, ensures that the tub warms up more quickly. Using the KVIK you can stoke up the stove and fill the tub at the same time. 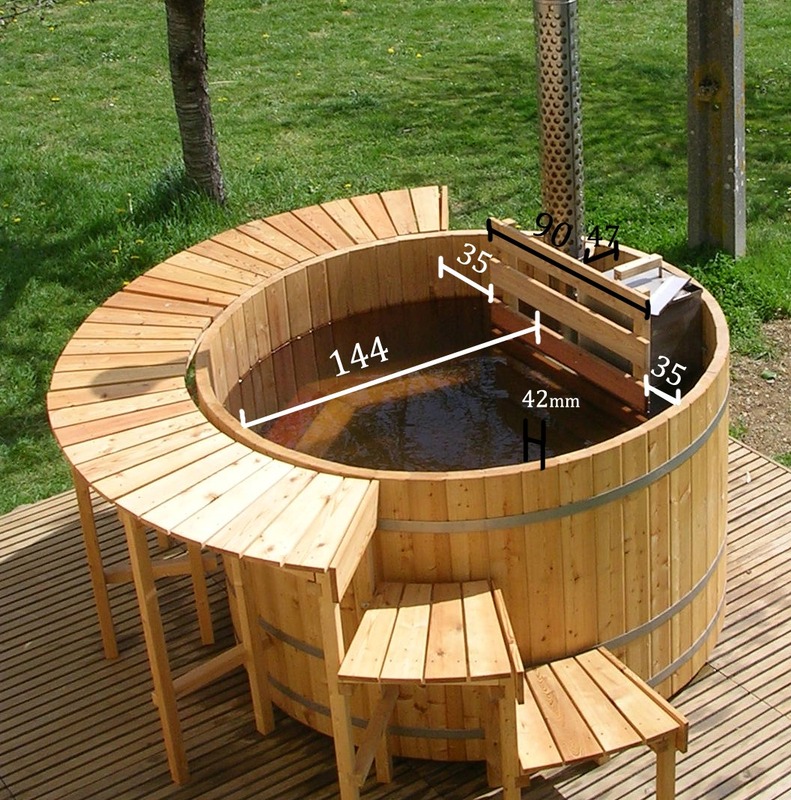 This way of working shortens the heating up time of the tub by an average of 1 hour. Made from PVC, easy to use, natural green colour. This PVC cover gives you optimal protection from fallen leaves and other falling dirt. A different colour can also be arranged if you prefer. 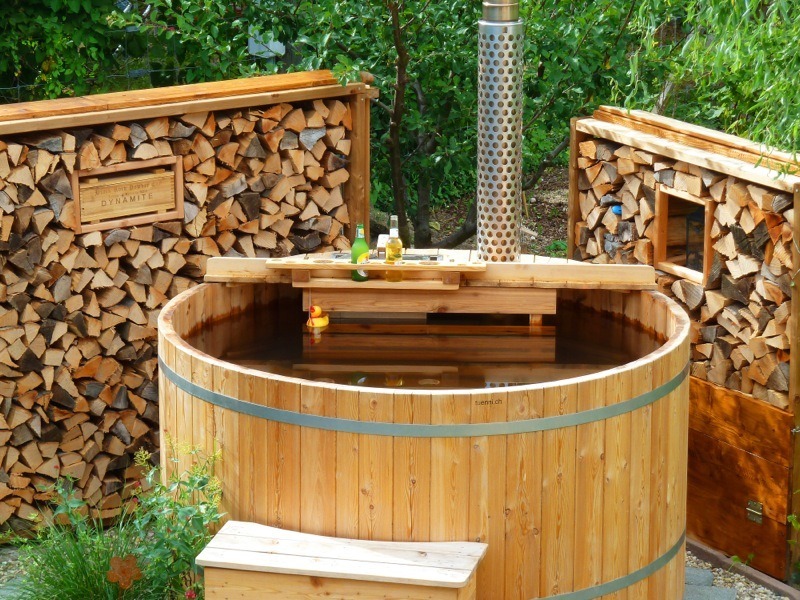 A natural cover of wood (Nordic Pine) is also a good possibility. 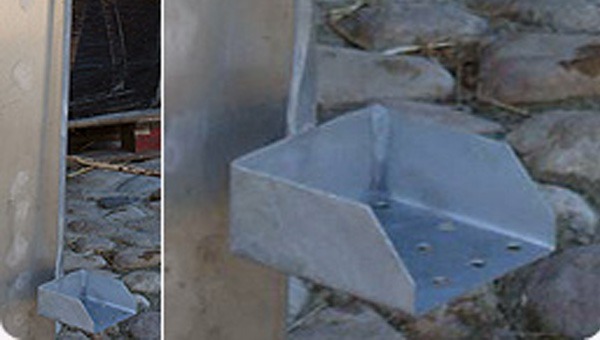 The lid is supplied in two parts. This makes it easier to remove. Attention: Please take in consideration that due to weather influences the cover can become deformed. 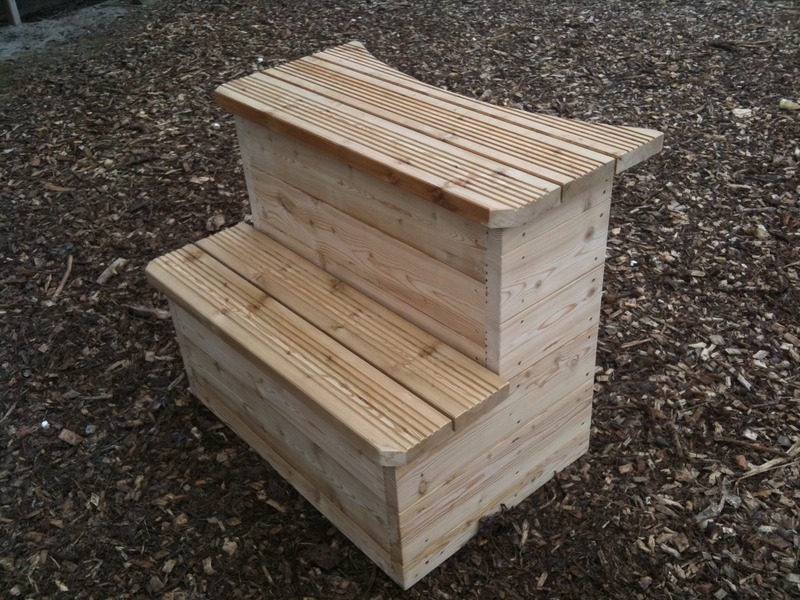 Our steps are made of wood and have three treads. 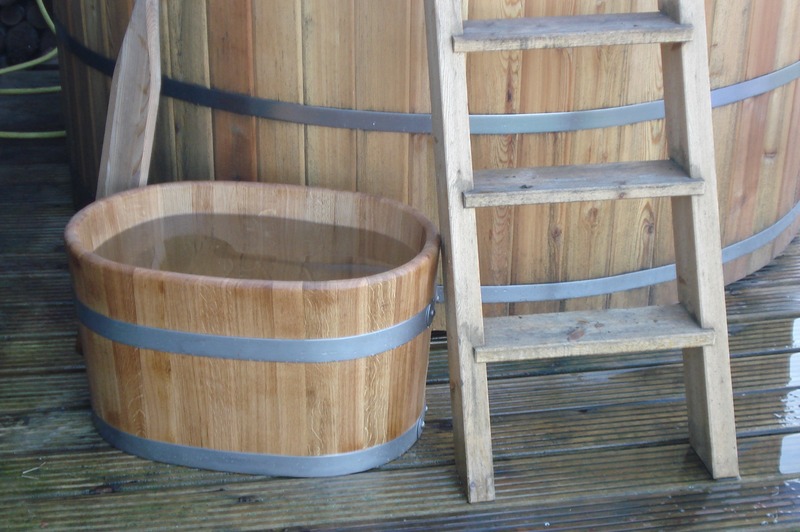 The steps are fixed to the tub with wooden fastening hooks. 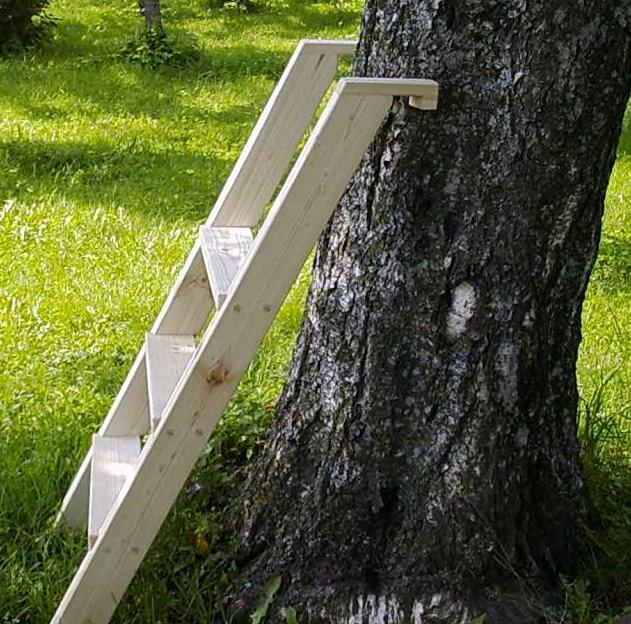 This guarantees climbing into the tub safely and prevents the steps from slipping away. 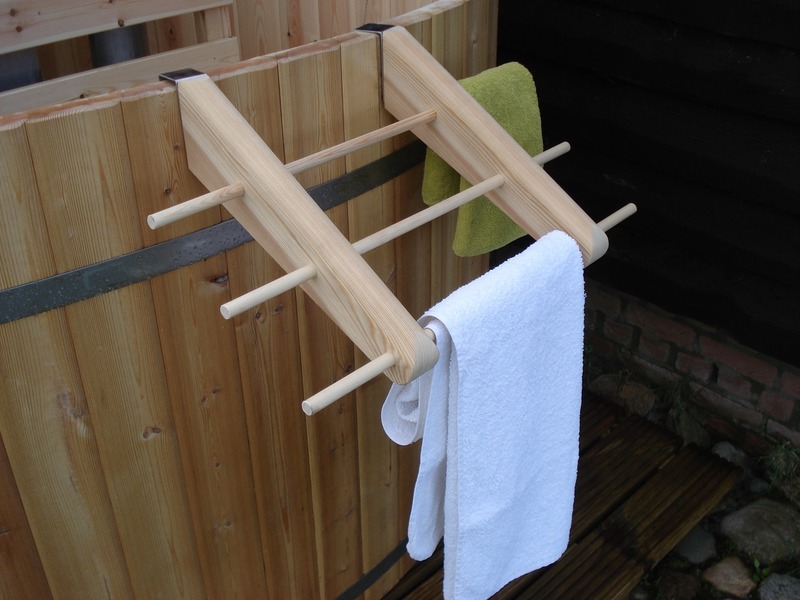 The towel hanger is made of wood and has a stainless steel clamp. The towel is always nearby. 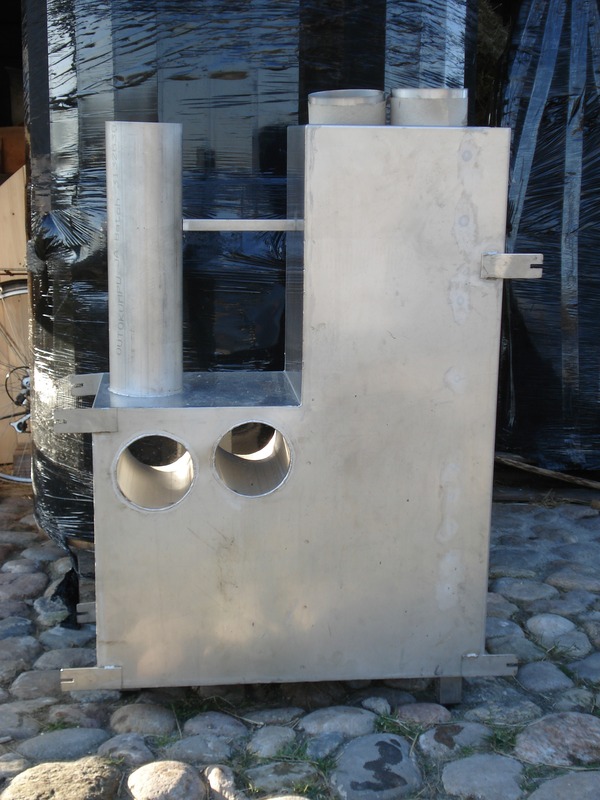 In the winter, when the weather is cold, it is sometimes nice to throw a bit more wood into the stove. 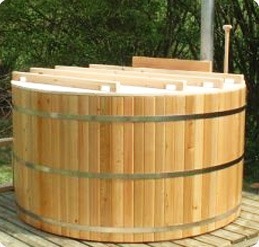 This wood box means that you don’t have to get out of the tub. Fixed by stainless steel clips. 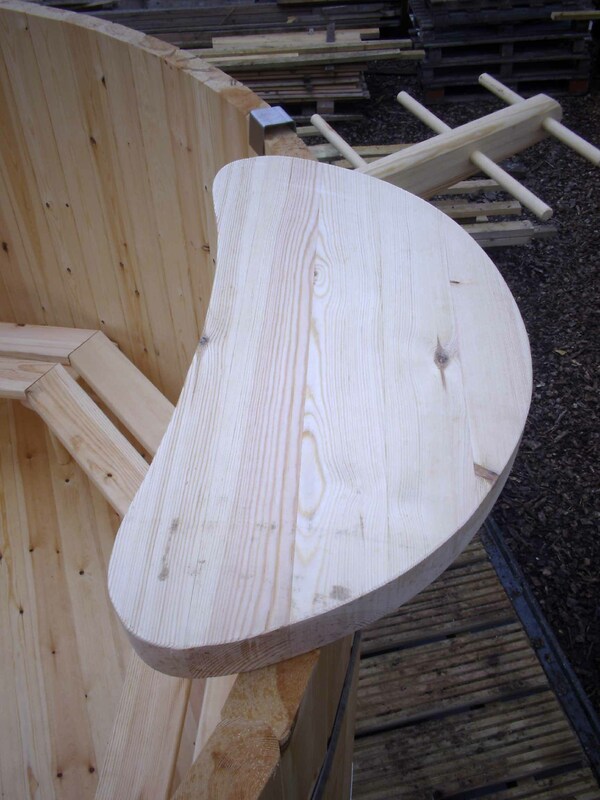 Linseed oil impregnation to treat the exterior. 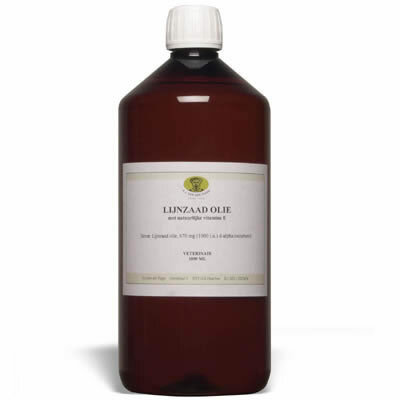 Gives the wood extra nourishment and increases the durability with boiled linseed oil. A traditional and 100% natural impregnation. According to the laws of nature the water at the top of the tub always heats up sooner than the water at the bottom. The solution to this is to give the water a good stir with this specially made stirring paddle. For extra life span you place your Tunni on a vlonder. 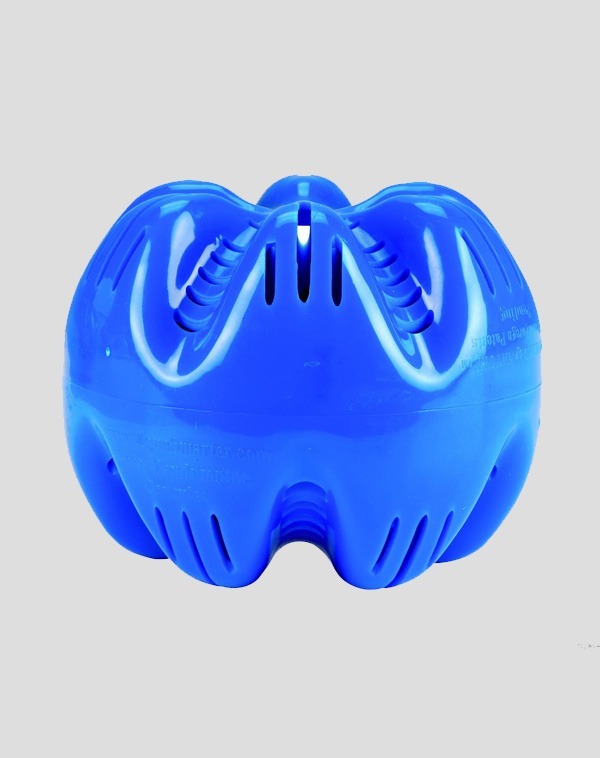 The air flow under the vlonder ensures dryness and goes accelerating fought. Vlonder has been made of wolmanised terrasswood, and in each other screwed with stainless steel screws. 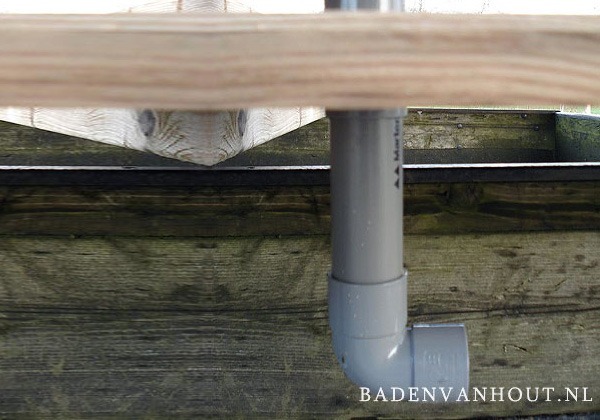 In the vlonder space has been made for the emptying the bath, and the altitude of vlonder permits that a PVC tube for the emptying of water can be placed. 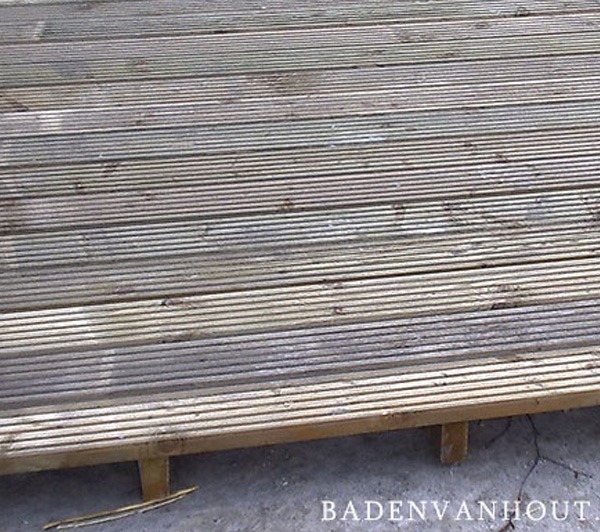 Standard size of the platform is 250cm x 250cm. The height of the bars is 68mm. NB: It is necessary that at times a current is created in your hot tub. You can suffice with occasional stirring. The more you take a bath (for example) once a week you need to make less flow. Ideal is the combination of AquaSmarter® and, for example, a hanging filter that filters once a week for an hour.